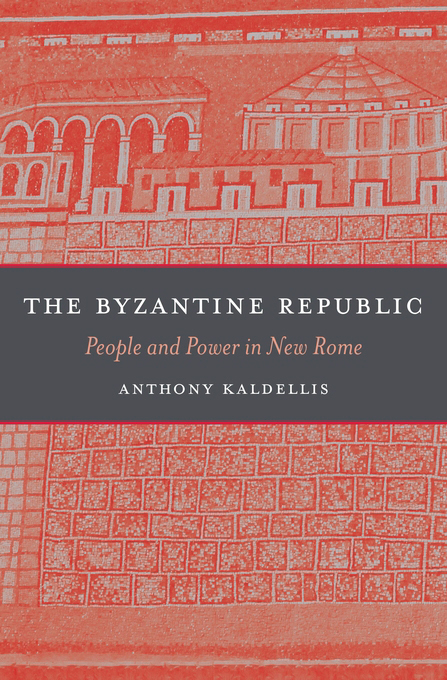 In "Byzantine Republic", Anthony Kaldellis reconnects Byzantium to its Roman roots. In a revolutionary new book, Anthony Kaldellis reconnects Byzantium to its Roman roots, arguing that from the fifth to the twelfth centuries CE the Eastern Roman Empire was essentially a republic, with power exercised on behalf of the people and sometimes by them too. The Byzantine Republic recovers for the historical record a less autocratic, more populist Byzantium whose Greek-speaking citizens considered themselves as fully Roman as their Latin-speaking “ancestors.” Kaldellis shows that the idea of Byzantium as a rigid imperial theocracy is a misleading construct of Western historians since the Enlightenment. With court proclamations often draped in Christian rhetoric, the notion of divine kingship emerged as a way to disguise the inherent vulnerability of each regime. The legitimacy of the emperors was not predicated on an absolute right to the throne but on the popularity of individual emperors, whose grip on power was tenuous despite the stability of the imperial institution itself. Kaldellis examines the overlooked Byzantine concept of the polity, along with the complex relationship of emperors to the law and the ways they bolstered their popular acceptance and avoided challenges. The rebellions that periodically rocked the empire were not aberrations, he shows, but an essential part of the functioning of the republican monarchy.